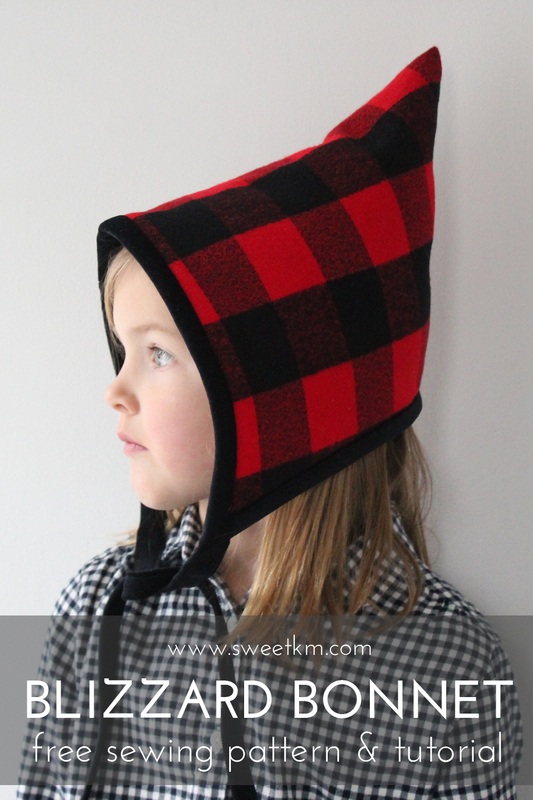 SweetKM: Gingercake Patterns Day Off Backpack + GIVEAWAY! 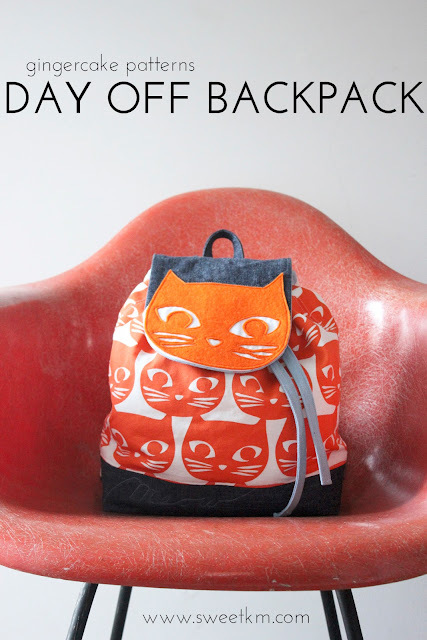 Gingercake Patterns Day Off Backpack + GIVEAWAY! 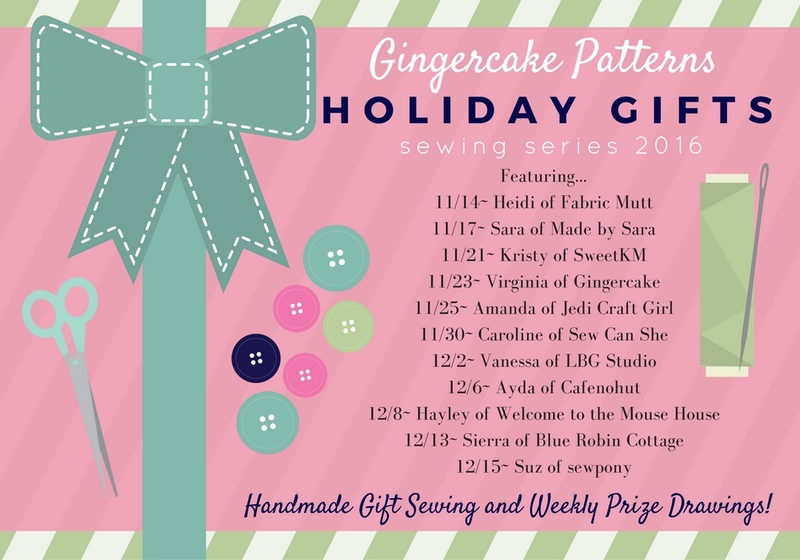 Welcome to the SweetKM stop on the Gingercake Patterns Holiday Gift Sewing Tour! The tour includes 5 weeks, 5 giveaways, and enough handmade gift inspiration to fill up all that space under the Christmas tree. Today I'm sharing the Day Off Backpack from Gingercake Patterns. We have a few other well loved Gingercake projects (Lola Owl Bag, Lola Owl Ornament/Gift Card Holder, Love Your Lunch Box), and I can't wait to add this one to our collection. 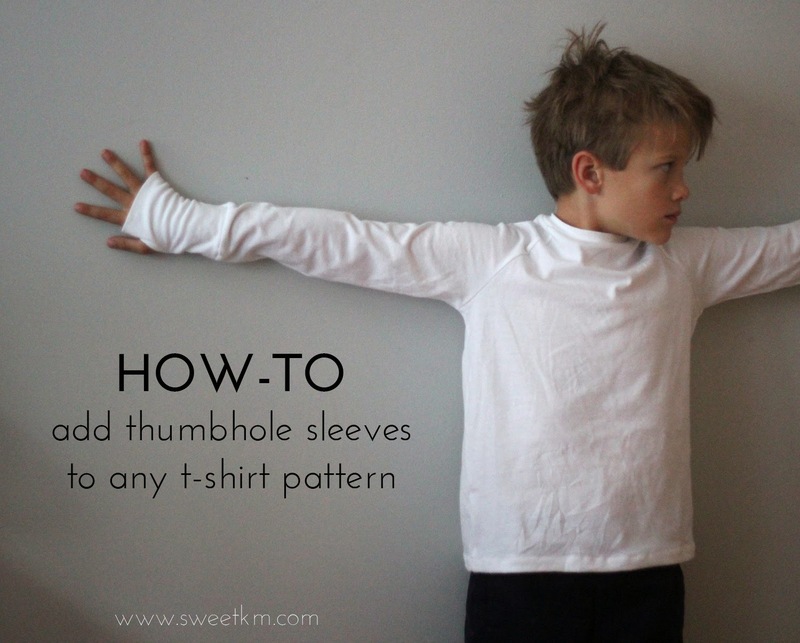 I've lost my kid sewing mojo lately, they grow out of everything so fast, and I would rather sew for myself. Making this bag has brought it back in a new way. Handmade bags offer all the fun of playful kid's fabrics and details, but will be useful a whole lot longer! Scooters are our main mode of transportation around town. Each kid carries their stuff in one of those drawstring backpacks you get for free at fairs. 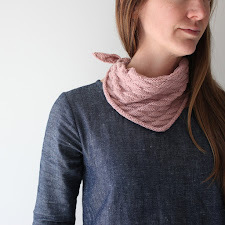 They are great to carry a sweater when the day gets warm, or a water bottle, but if we're out for the whole day the skinny little straps start to get uncomfortable, and aren't up to being filled with a kid's share of the groceries, or splash park gear. I chose this backpack pattern so I could make a more substantial, and versatile pack for the kids to carry all day. The straps of this pack are thick enough that they can even carry their own library books (a huge relief to their bag toting mama!). The Day Off Backpack pattern comes with adult or child sizes. Both sizes have a snap closure for the main opening, a flap over the opening, and adjustable straps. 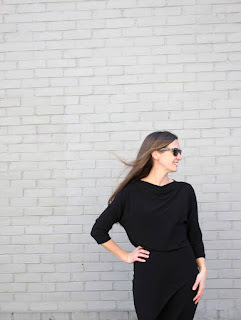 The adult version has a front zip pocket that could easily be adapted for the kid size. I made a few small changes to the pattern adding 1" in each direction of the body, and modifying the straps for 1 1/2" hardware (because I couldn't find 1" hardware locally). I used the back piece for the front and the back, and used the top back piece on the front too, to make the casing for the added drawstring. I top stitched the word Meow along the base of the backpack. 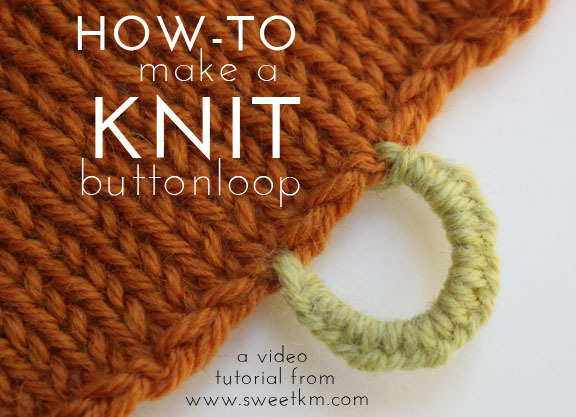 It was one of the first, impatient things I did, and I wish I had taken the time to get orange thread. I used doubled all purpose thread, but the color doesn't pop enough to do it justice. L found one of the spare print outs of the cat face that I left in the printer. Based on her reaction she will be thrilled with this backpack, and so am I! Gingercake is offering a different giveaway for each week of the blog tour! Enter below, and keep an eye out for more giveaways. Check out the rest of the Gingercake Holiday Blog tour for more great gift ideas! I can't stand it! I want one for me! Gorgeous Kristy! Thanks so much! WOW! July!? I wish I was that organized. This is my first homemade gift for the year. Better get busy! 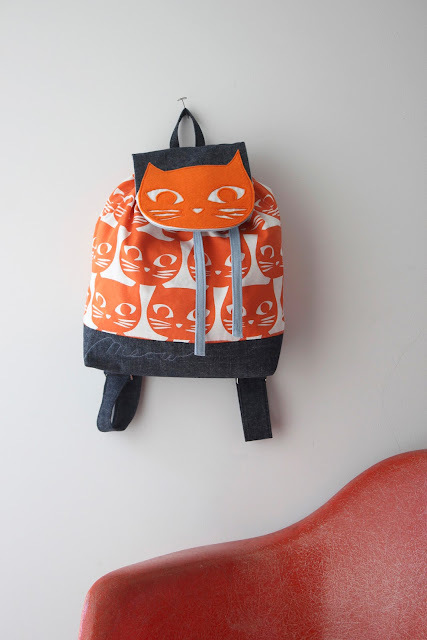 Hi,this back pack is adorable! Thanks for sharing! Yes,I have made a red+green placemat set and now working on a Mini Quilt! Oh I just love this! It's gorgeous. I must confess I am a last minute sewer for the holidays! And I make a lot of gifts!